Strawberry Swing and other things: Did You Know? Just some little nuggets of wisdom, and by wisdom I mean random trivia that might help you at Quizzo... if it's being held at Chuckie Cheese. And a few other fun finds too! Do you ever hear a commercial voiceover and automatically pick out who the celebrity is behind it? Like Phil Dunphy, Ty Burrell, in the Verizon Fios commercials? Well, a few weeks ago, Doc McStuffins was on and yep, there's Phil Dunphy again! Ty Burrell voiced Big Jack, the Jack in the Box who needing fixing for his father son juggling act. I thought it was funny since his TV daughter, Ariel Winter, voices Sofia from Sofia the First (did you know that?!) And thought maybe she got him the Disney in. 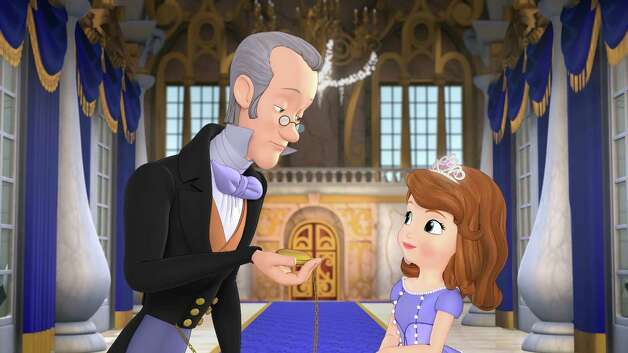 Well turns out, there are more famous voices than just Tim Gunn (Baileywick) voicing the show. Keeping it in the modern family, Eric Stonestreet (Minimus) and Nolan Gould (Elliot) have also voiced characters. And so many others too, Sara Ramirez (Queen Miranda), Wayne Brady (Clover the bunny), Ellie Kemper (Crackle the dragon), and others like Viola Davis, Jeffery Tambor, Megan Mullally, Alison Hannigan, Ginnifer Goodwin, and Kiernan Shipka. Who knew these already successful actors were keeping themselves busy with voiceover work for the House of Mouse? The cast list for Jake and the Neverland Pirates is pretty impressive too! Okay, this might be old news, but I love finding as many deals as I can before buying things online. I always first check if the retailer is on Ebates, so I can shop through there for quick cash back. Typically, Ebates shows all the current coupon codes being offered as well, and I usually do a quick check on retailmenot for any other hidden finds. Then, before pulling the trigger, I double check on shopstyle.com to see if the item is being sold elsewhere for less. You'd think that'd be enough, but I just found out about CamelCamelCamel. Do you know about CamelCamelCamel? No? It's a site that tracks all the prices for everything (almost everything?) on Amazon. You can import your wishlists or just enter the product url and you will see the past price history, when it's fallen and peaked, and you can set email alerts for when prices drop to your desired price. Pretty amazing. Again, maybe this is old news, but if you need me I'll be watching prices shift pennies like it's 2003 and I'm in a bid war on eBay. 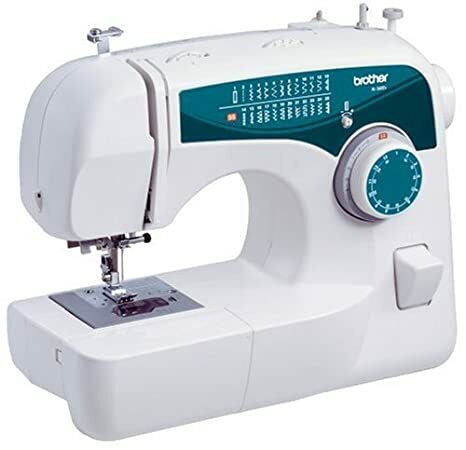 The Brother XL2600I Sewing Machine is currently on sale for $79.99. It's retail price is $149.99 (47% OFF! ), however, it's a bit misleading as it generally floats in the $100 range on Amazon, but it's still a great deal for a great machine for beginners. It's the one I have, and learned on, and I have found it really easy to use and it rarely gives me trouble. The one time I had trouble when I was first learning, I was quickly found my solution with a youtube search. I would definitely recommend it for anyone looking to take up sewing. This Tassle Trim Top (shared by Natalie) is on sale for $34.99 and you can get 50% off the sale price with code ENDOFSEASON. I mean, $17.49 for a J.Crew blouse?? Yes, please. Lastly, this Melissa & Doug Medieval Castle is basically half price and super cute. We recently had a play date where one of Ashlynn's friends, a boy, was loving playing with her princess castles. After they left I searched for some non-pink options and found this one. I love that it's almost a "dollhouse" and opens up so boys AND girls can play with knights, princesses, dragons, horses, you name it. Melissa & Doug always knock it out of the park for toys that are gender neutral and fun for everyone. Any random nuggets or finds you'd like to share?? Let me know, share the wealth... or savings. I've never heard of CamelCamelCamel before but am totally on the hunt to check it out! I'm all for saving money and get super mad at myself when I forget to check out using ebates! holy deals. I need to bookmark those sites asap! and we live off of sofia and jake so now I'm intrigued and googling the cast! My husband got the video game "Shadow of Mordor" for Christmas, and the guy who does the voice for the King in Sofia the First is also on the video game. Its crazy recognizing all of the voices in these shows! Have you ever shown the girls Daniel Tiger? We are big Disney Junior fans, but I heard about Daniel Tiger from another Mom. Holy cow my daughter is obsessed. Its a spin off of Mr Rogers Neighborhood. So, its kind of fun to relive my childhood a little bit. Those voices always catch me when O (rarely) watched Sophia. It's usually because I'm running around getting stuff together or cleaning but I bet if I were actually watching it it would be harder for me to catch. I can never seem to remember to click Ebates before online shopping. I'm missing out on so much extra $ back! My husband got a video game for Christmas, and the guy who does the voice for the King in Sofia the First is also on the video game. It freaks me out every time! Its crazy recognizing all of the voices in these shows! Yeah, Tim Gunn is so obvious, but I don't think I realized it was Ariel Winter until recently and I forget how I put it together. I'm just so impressed that these successful and busy actors take the time to do it. I mean I guess it's easy money, but I would think they'd be too cool for cartoons or something. I know right! They are going fast! I can't believe I just found out about it now, but love it. Um, what? Seriously, use ebates!!! I've made back so much money! We got like $50 for ordering our vanity online through Home Depot. Of course, when it's like 2% back from gap and I get like $2 you could be eh whatever, but if you add up all your online purchases? I probably average anywhere from $25-$50 a qtr (how they pay). I know! I love companies that do that, which lots do! Nordstrom and Target too! I wonder if it has anything to with how ABC is owned by Disney? Maybe they try to have some kind of cross over? I really want to learn how to sew (specificaly adorable baby rompers!) I'll have to pass along the hint for my birthday! Oh! So interesting about the other famous voices of Sophia (that's a daily on in our house!) I was really surprised too when we found out that Tinkerbell is voiced by Mae Whitman (from Parenthood) because both of those are fan faves around here too. I was thinking that too, they probably film on the same lot/soundstage. I would have thought their agents booked the jobs, but maybe the disney casting just reaches out to ppl contracted in the company? Yes, and she's about to play the lead in a new HS movie called The DUFF, which apparently might be the new Mean Girls. (I LOVE HS movies, haha). Did you know the other fairies are famous too? One is Kristen Chenowith (spotted her voice first before I looked up the others that include) Raven Simone, Lucy Lu, and I think there is another too! Oh Jesse McCartney is Terrance! So cute! I got mine for my 30th! Amazon price matches?! I had no idea. Thank you for sharing! I always find myself on IMBD while watching Disney to see why that voice sounds so familiar. It does seem like anyone and everyone does voiceover work for them. Ahhh womp womp, i just doubled checked, they only price match TVs and cell phones. I thought it was everything :( I do believe if you buy something and the price drops within two wks of purchase or something you can get refunded. When I bought my DSLR on a black friday, it dropped again on cyber monday and I was given the credit back. I bought the tassle J.Crew shirt in black (and size TALL!!!!) and am obsessed with it. I mean, $17 for a $93 shirt? Wish they had more colors in the tall---the cream scares me, I worry it's totally see through. Did you get that one? Love that you bought it! It ended up selling out in my size in the white... almost got the black, but I always feel like black washes me out. Probably the only person who rarely wears black.